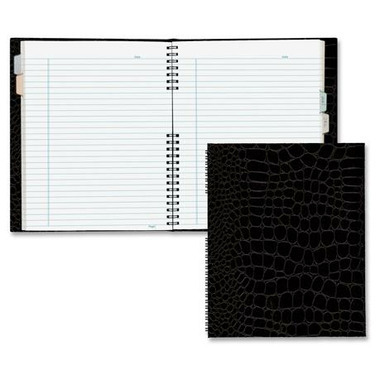 ​Notepro Notebook offers the durability of a hard cover and the flexibility of wire binding. Contains 150 perforated ruled pages with margins. Notebook features self-adhesive tabs, index sheet and storage pocket. Contains 30 percent post-consumer material.